As of June 5, 2013, New Mexico was considered to be in "extreme" drought conditions after a thirty-six month period of no precipitation when the Wells family hosted their spring branding in Cedarvale. 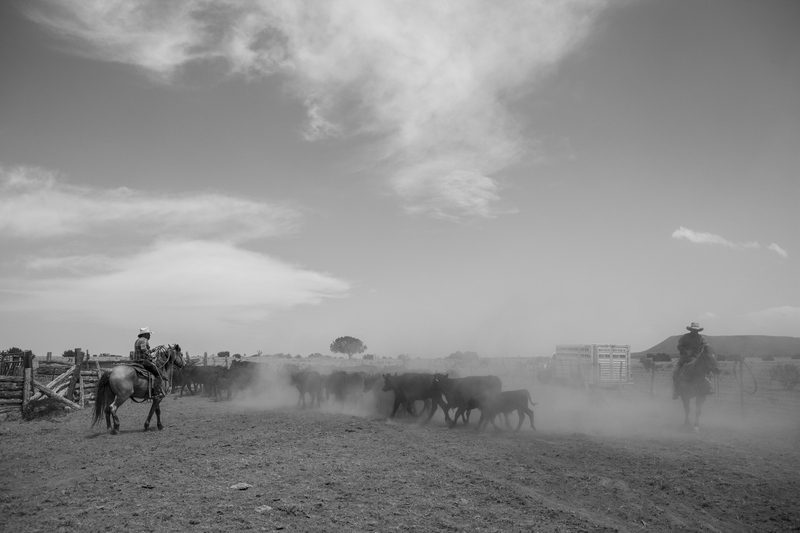 Billowing dust filled the air as the winds picked up the parched soil from calves hooves as they were rounded up. 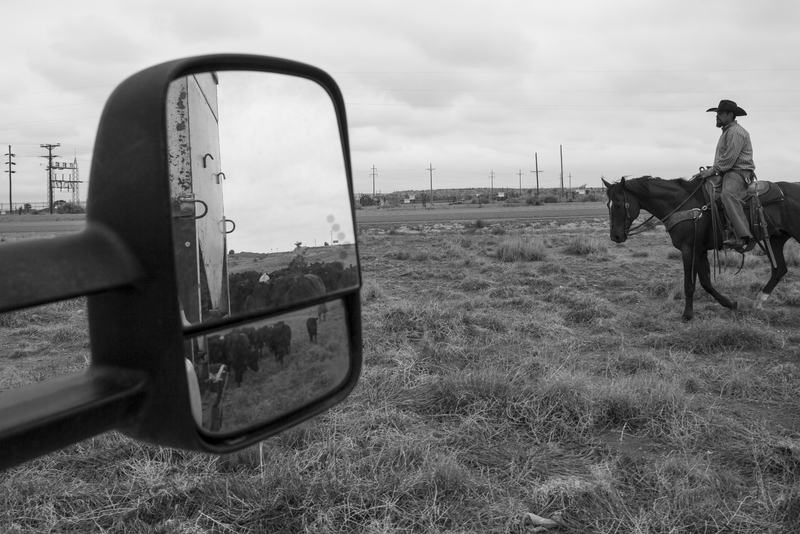 The widespread drought has forced ranchers to rethink whether one of the state's biggest and most vibrant industries is still a viable profession. "It's so dry the weeds aren't growing," state veterinarian, Dave Fly said. The soil cracks like streets on a road map where green grassy pastures used to feed cattle in the Guadalupe County area. 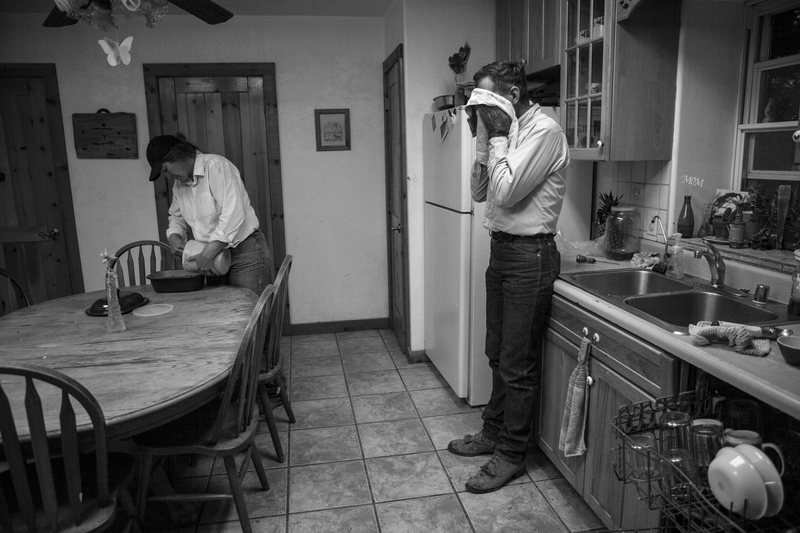 The drought has taken a psychological toll on the ranchers and a physiological one on the cattle. 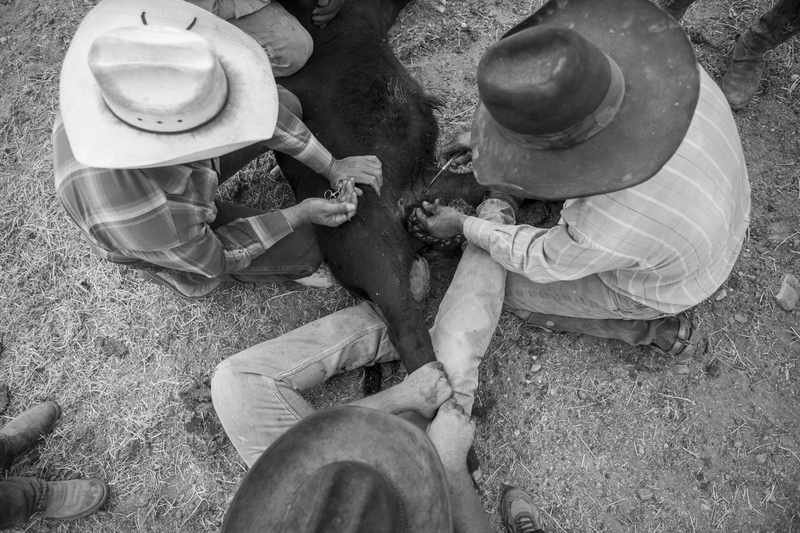 During the day of branding at the Wells ranch, the ranchers had to suture up three calves suffering from hernias after castration. 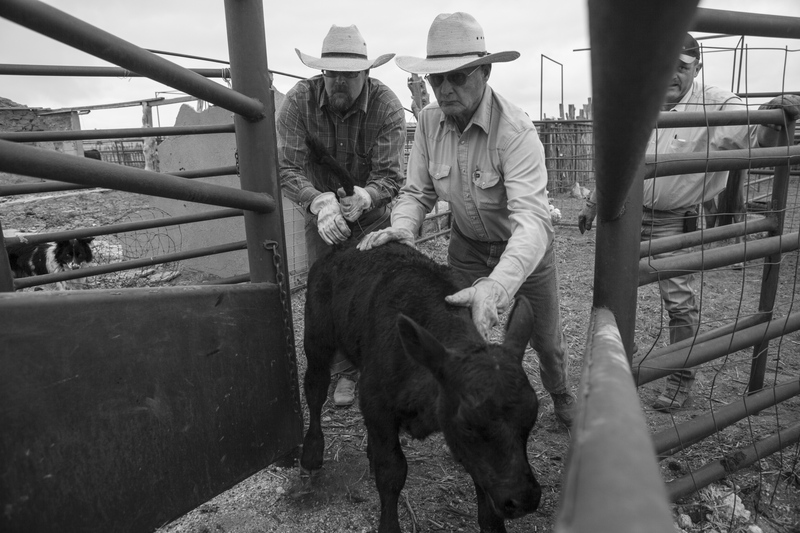 Wendell Wells said in all his time ranching, he had only witnessed one calf with a hernia. He attributed the condition to a lack of nutrition, causing the stomach lining to be thinner than normal. Five-year-old Ryan Wells watches as his grandfather tend to one of the caves with a hernia. Hernias are not the only health concern that can plague ranchers. Due to the lack of grassy grazing pastures, the cattle suffer from forage poisoning as they are desperate for sustenance and resort to eating plants not usual to their diet such as "loco weed," which can cause nuerological damage often resulting in death. The absence of roughage has meant ranchers spend lots of money to purchase hundreds of tons of hay. Prices have soared to eighteen dollars a bale, more than double what it was three years prior. 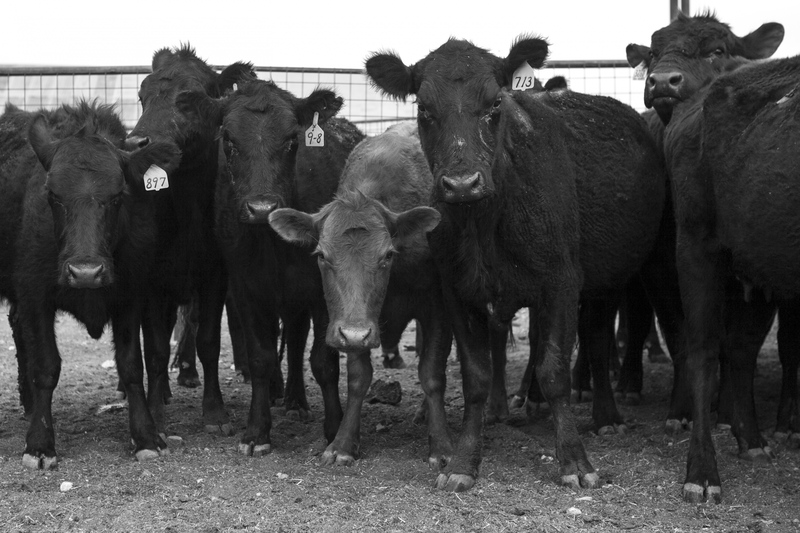 Some ranchers pay roughly five-dollars a head per day to feed their cattle. 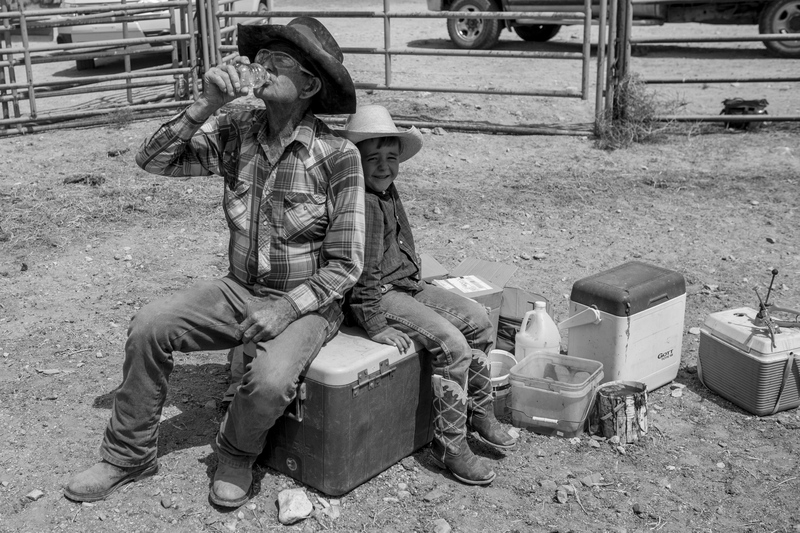 Eighty-two-year-old Bill Wells chugs water while sitting next to his great-grandson Ryan while taking a break from branding in to nearly ninety degree spring heat. 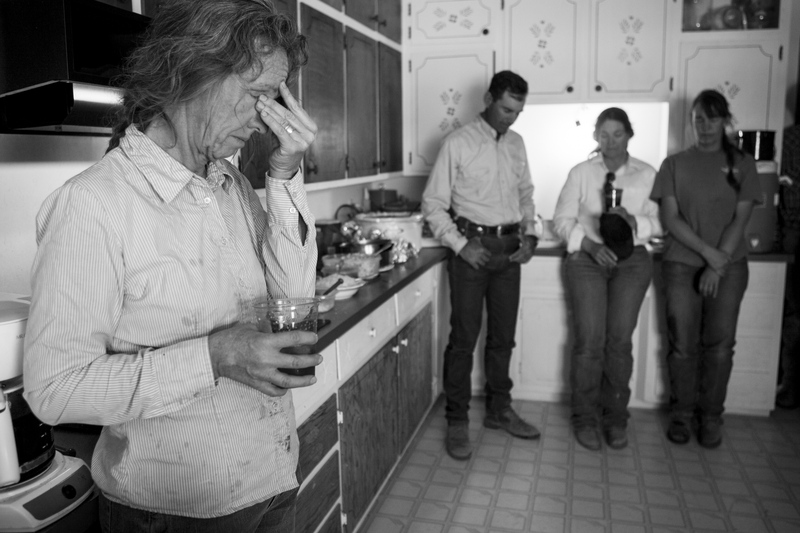 Jimmie Wells presses between her eyes in exhaustion as Ethan Fuchs, Dianne Fuchs and her daughter, Rebecca Wells take a moment to pray before lunch in the ranch house. Ryan Wells enjoys his lunch in the ranch house. 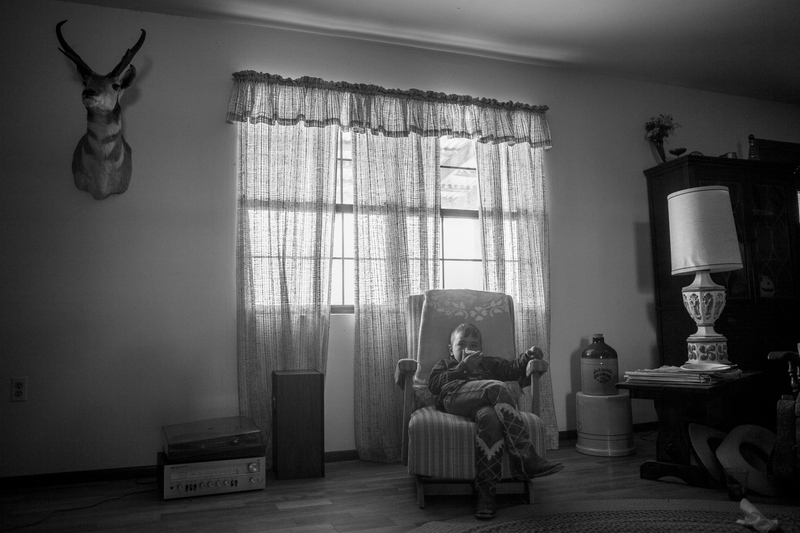 After a long day helping the Wells family with their cattle, Ethan and Dianne Fuchs return to their home outside of Santa Rosa that sits on a twenty-five-thousand-acre ranch. 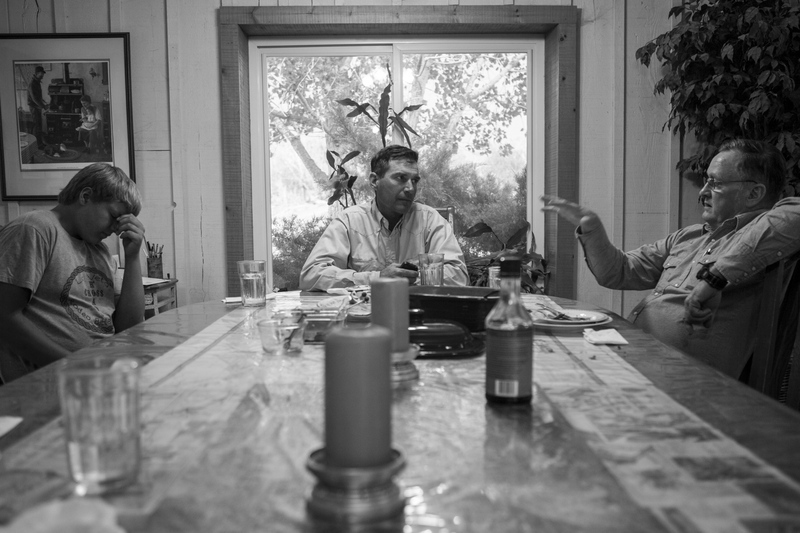 The Fuchs' are the most prominent ranchers in all of Guadalupe County, but have not been spared through the drought. 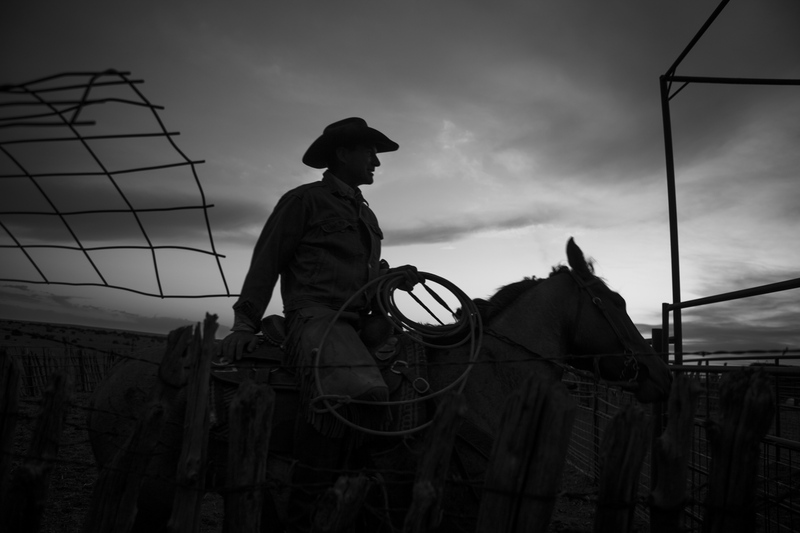 After an already grueling day, Ethan must round up the remaining heads of cattle of the once four-hundred that occupied his land to sell to a buyer out of Texas. 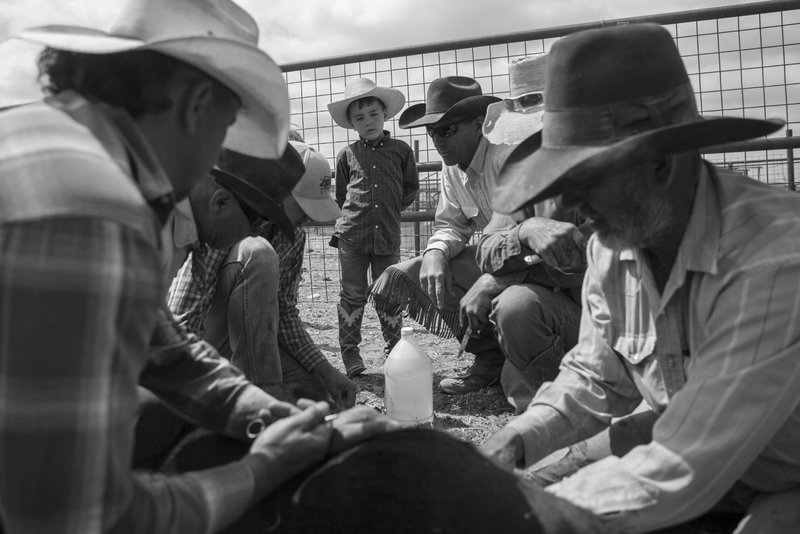 Cattle broker Windell Treadway talks to Ethan and his son, Seth, about a plan to round up the remaining cattle after strong winds, lightning and small droplets of rain mockingly huddle over the ranch. The little droplets of rain will not be enough to brighten the grim situation for Fuchs or other ranchers as it will take years of proper monsoons to repair the damage to the land. The cattle run as they are rounded up for the morning sell. 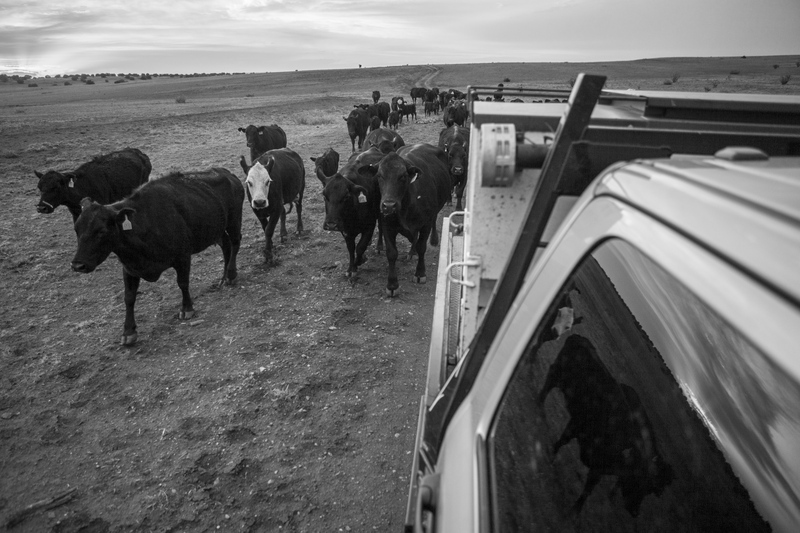 The cattle follow the feed truck as it drops pellets along the way as the ranchers use the very last of daylight to round up the remaining heads. 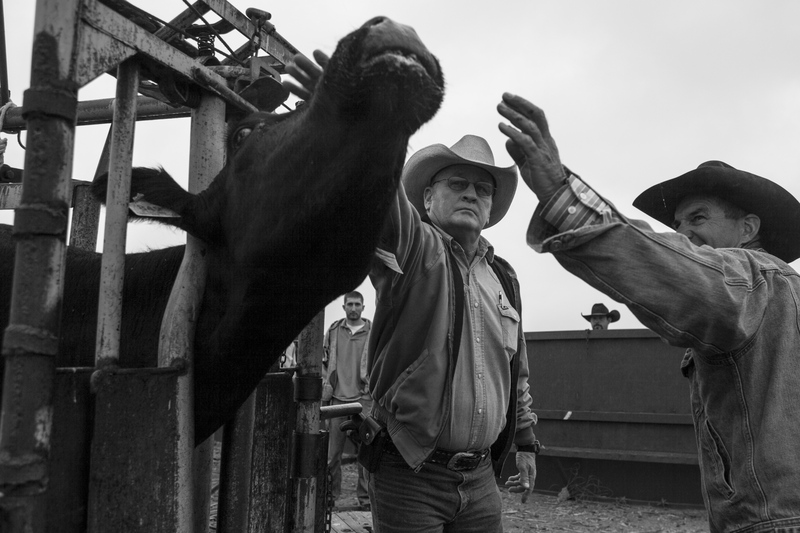 Windell Treadway and Ethan Fuchs inspect each cow before the new buyer arrives to pick up the cattle. Cattle buyer Pat Smith pushes his newly-purchased calf up the ramp to load in a cattle hauler with the help of Beau Lamb. 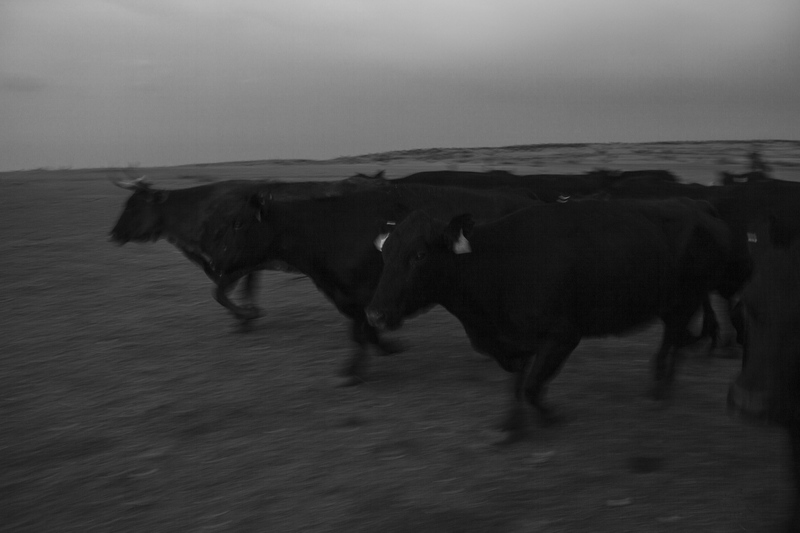 Mark Naranjo trots next to a cattle truck as it leads the eighty heads of replacement heifers to a grazing pasture. Fuchs will keep the heifers for future breeding when the drought has passed. 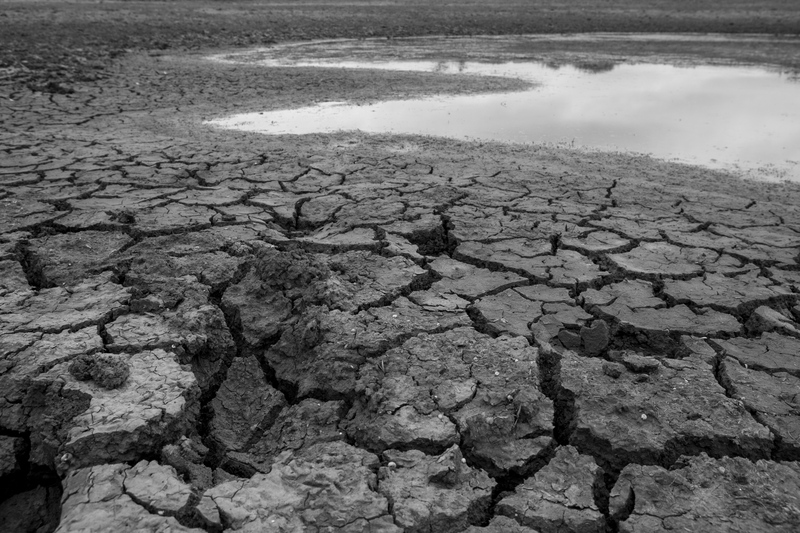 "Two or three times every century, you're going to have a drought like this. If you choose to be a rancher, you know there's going to be years where it just doesn't work," Fuchs said. "The frugal ones survive," said Fuchs. When asked how long he could wait out the drought, he responded "I could wait forever because I'll go drive a truck, or I'll do anything to make a living." "We're not going to sell the ranch. It will rain again."